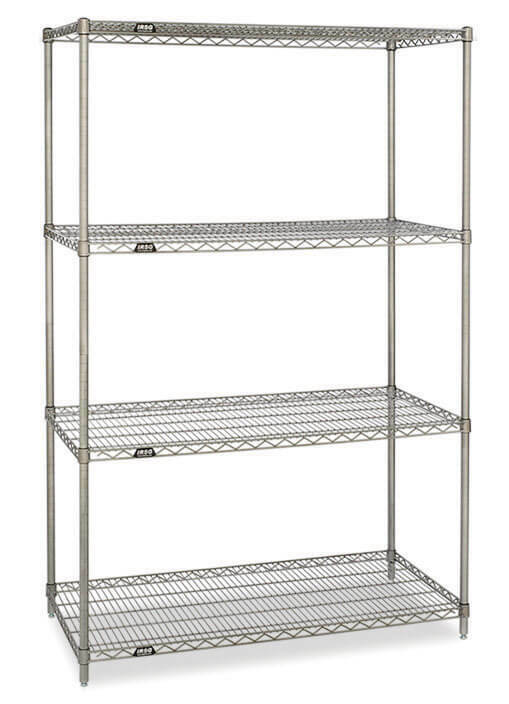 IRSG Wire Shelving: Optimize every inch of your limited floor space! 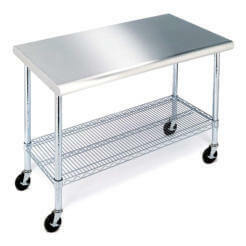 Improves overall efficiency by maintaining organization and expediting inventory. 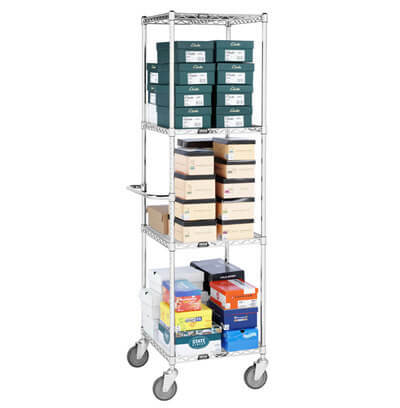 The wire shoe cart is specially designed to navigate narrow aisles and backrooms which make it ideal for receiving, managing, and restocking footwear inventory, as well as general flat or folded merchandise. 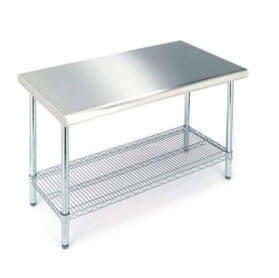 Stationary Wire Shelving Units each offer easy access to inventory. 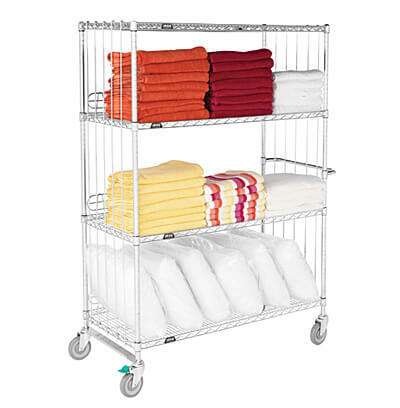 The SS series showcases a variety of sizes and configurations to suit your storage needs and space requirements. You may specify your own configurations or work with us to create your individual design. Units ship unassembled and can be easily assembled without tools. 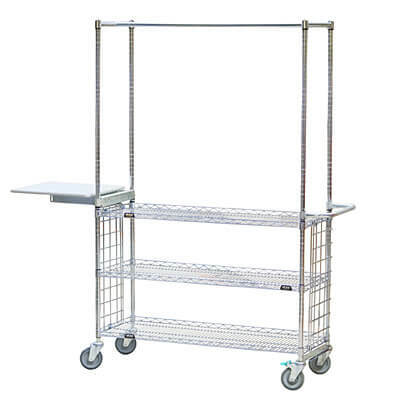 Mobile wire shelving units are also available.